This guy’s got guts. Thank you, thank you, thank you Dr. Philip S. Skell. Thank you for saying what a lot of us have been thinking and saying for many years. Neo-Darwinism has not contributed anything of significance to the human condition. Evolution as change with respect to time in the microevolutionary sense indeed has contributed to science but not macroevolutionary neo-Darwinism. Dr. Philip S. Skell made so many good points here is an excerpt. Many of the scientific criticisms of which I speak are well known by scientists in various disciplines, including the disciplines of chemistry and biochemistry. I have found that some of my scientific colleagues are very reluctant to acknowledge the existence of problems with evolutionary theory to the general public. They display an almost religious zeal for a strictly Darwinian view of biological origins. Darwinian evolution is an interesting theory about the remote history of life. 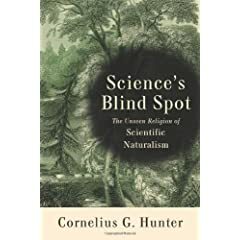 Nonetheless, it has little practical impact on those branches of science that do not address questions of biological history (largely based on stones, the fossil evidence). Modern biology is engaged in the examination of tissues from living organisms with new methods and instruments. None of the great discoveries in biology and medicine over the past century depended on guidance from Darwinian evolution—it provided no support. Just sit back and watch all the DarwinianDefenders come out of the woodworks. No doubt there will be accusation of Dr. Skell don’t know what he is talking about. There will be contrived examples of how neo-Darwinism has contributed to the human condition. Just sit back and enjoy the show with DarwinianDefenders shuffling their feet and stammering blustering excuses why neo-Darwinism is still the guiding light and the best atheistic hope for humanity. Darwinism mindset : A Problem with Nasa?